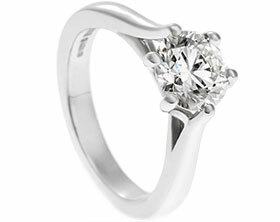 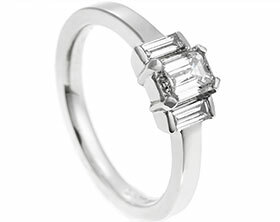 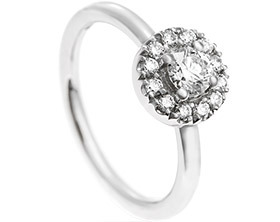 An elegant palladium diamond solitaire engagement ring with a twisting shoulder detail. 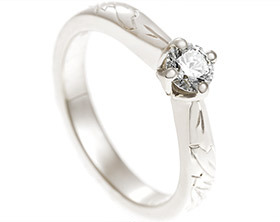 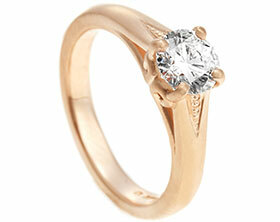 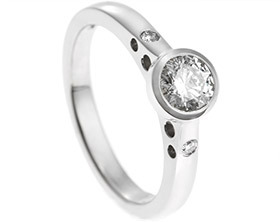 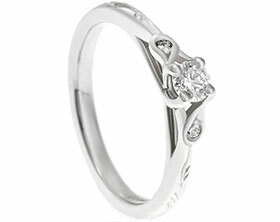 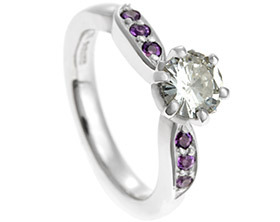 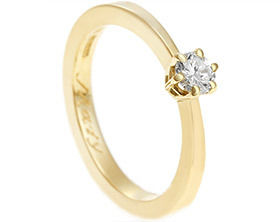 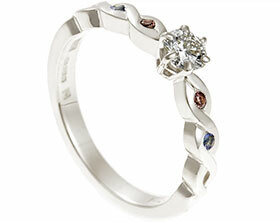 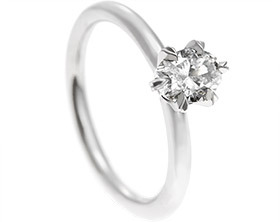 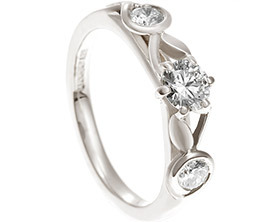 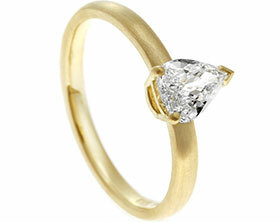 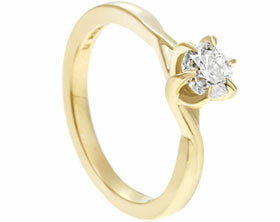 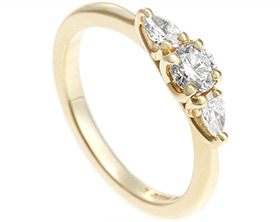 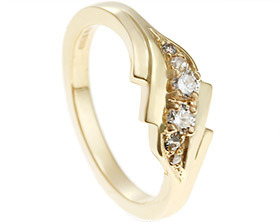 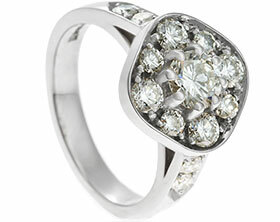 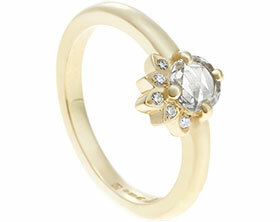 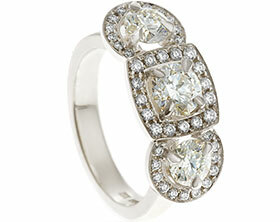 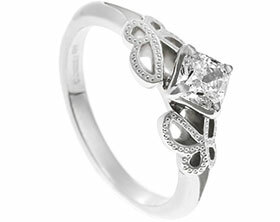 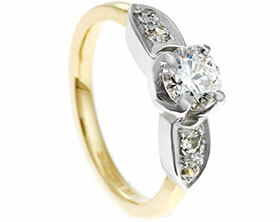 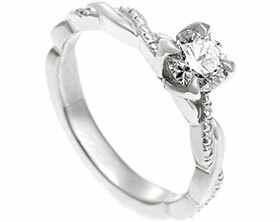 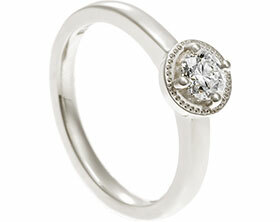 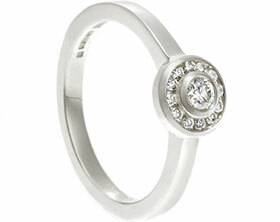 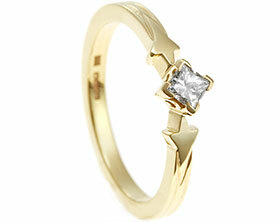 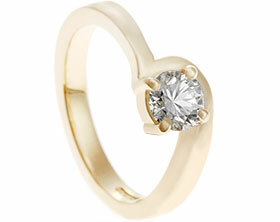 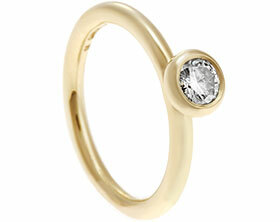 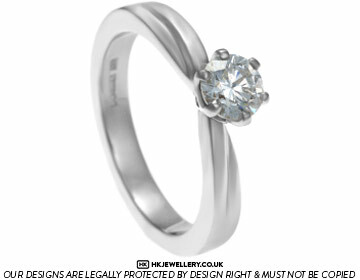 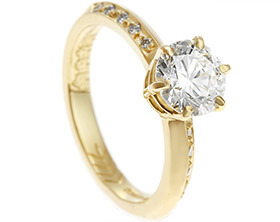 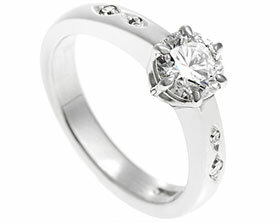 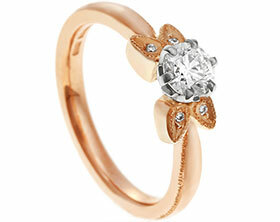 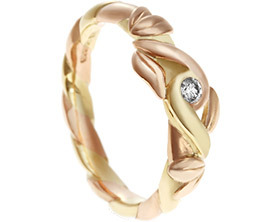 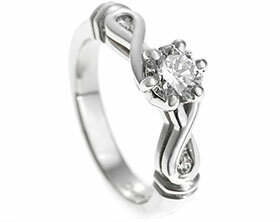 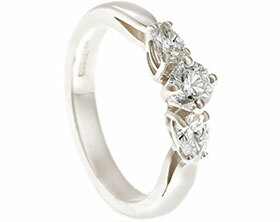 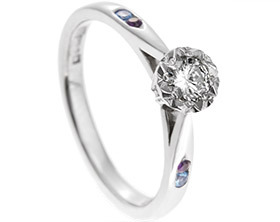 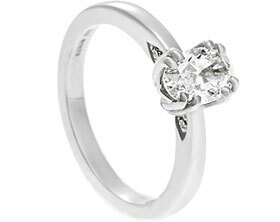 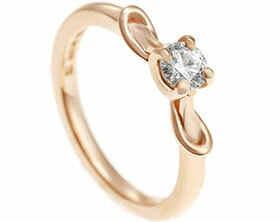 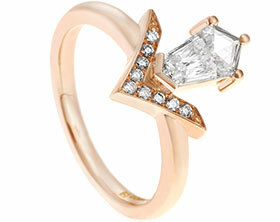 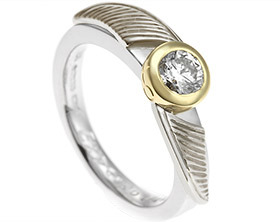 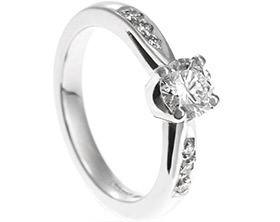 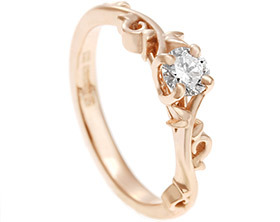 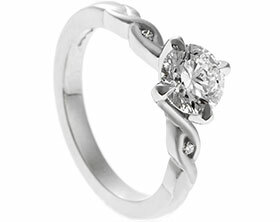 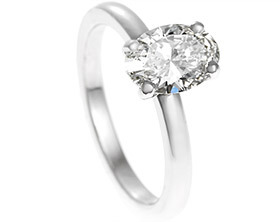 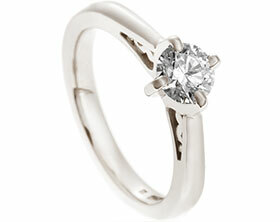 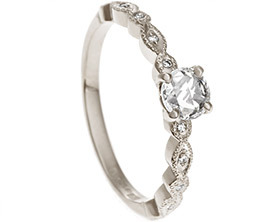 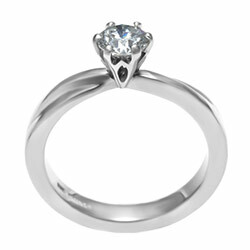 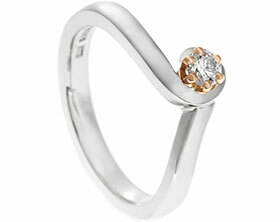 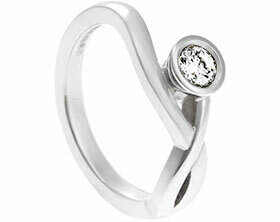 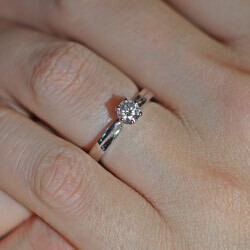 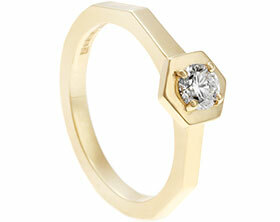 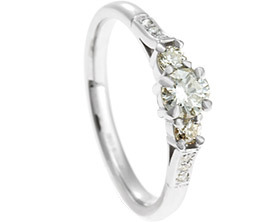 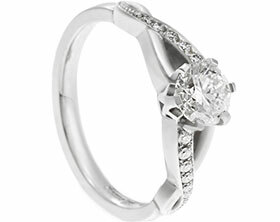 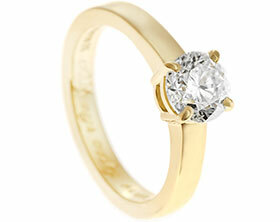 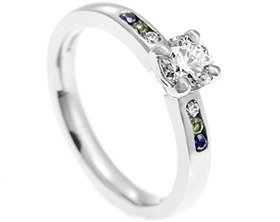 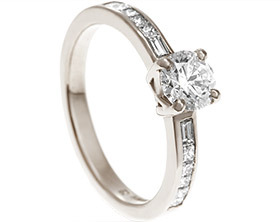 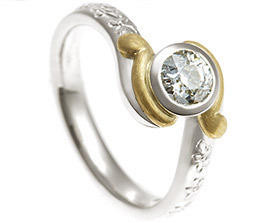 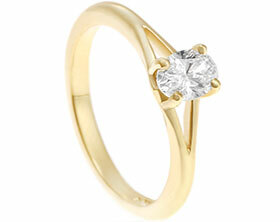 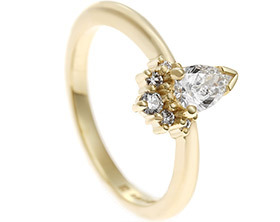 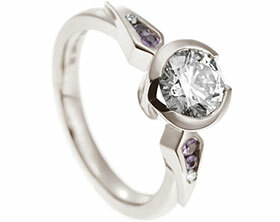 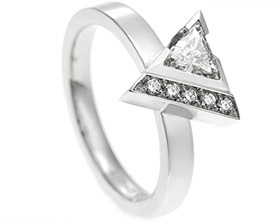 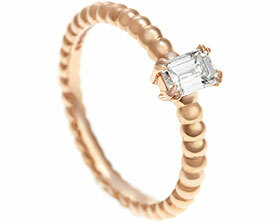 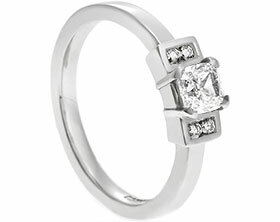 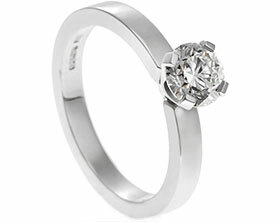 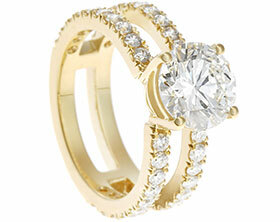 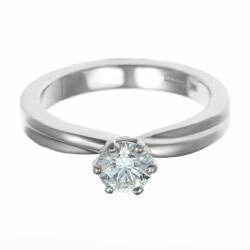 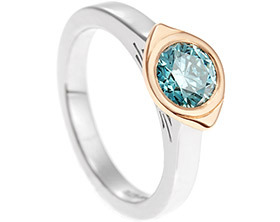 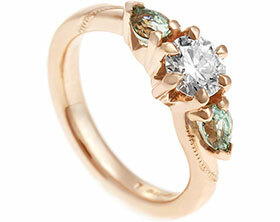 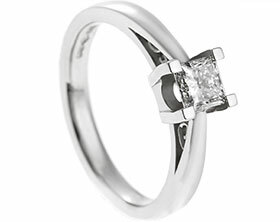 It holds a 0.49ct HSI1 diamond in a six claw setting. 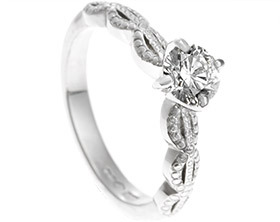 On the side of the setting there are leaf like details. 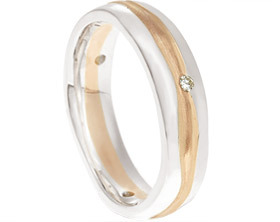 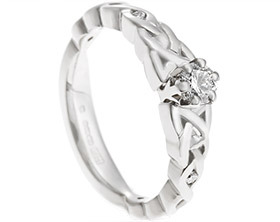 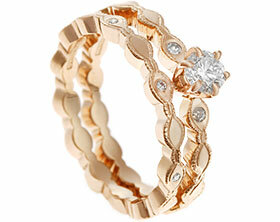 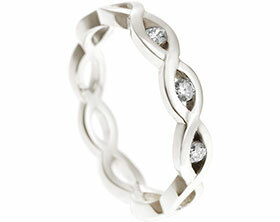 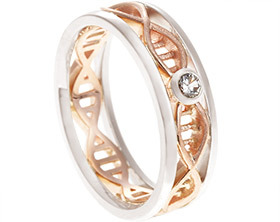 The band is 3mm wide and tapers were the twist design wraps and joins the setting for a delicate design.